Created by Professor Messod Beneish, the M-Score is a mathematical model that uses eight financial ratios to identify whether a company has managed / manipulated its earnings. The variables are constructed from the company's financial statements and create a score to describe the degree to which the earnings have been manipulated. In many ways it is similar to the Altman Z-Score, but it is focused on detecting earnings manipulation rather than bankruptcy. 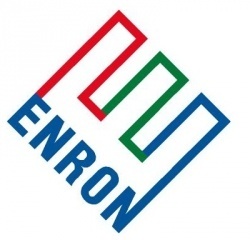 Interestingly, students from Cornell University using the M score correctly identified Enron as an earnings manipulator, while experienced financial analysts failed to do so. DSRI = Days’ Sales in Receivables Index. This measures the ratio of days’ sales in receivables versus prior year as an indicator of revenue inflation. GMI = Gross Margin Index. This is measured as the ratio of gross margin versus prior year. A firm with poorer prospects is more likely to manipulate earnings. AQI = Asset Quality Index. Asset quality is measured as the ratio of non-current assets other than plant, property and equipment to total assets, versus prior year. SGI = Sales Growth Index. This measures the ratio of sales versus prior year. While sales growth is not itself a measure of manipulation, the evidence suggests that growth companies are likely to find themselves under pressure to manipulate in order to keep up appearances. DEPI = Depreciation Index. This is measured as the ratio of the rate of depreciation versus prior year. A slower rate of depreciation may mean that the firm is revising useful asset life assumptions upwards, or adopting a new method that is income friendly. LVGI = Leverage Index. This measures the ratio of total debt to total assets versus prior year. It is intended to capture debt covenants incentives for earnings manipulation. TATA - Total Accruals to Total Assets. This assesses the extent to which managers make discretionary accounting choices to alter earnings. Total accruals are calculated as the change in working capital accounts other than cash less depreciation. "Interestingly, students from Cornell University using the M score correctly identified Enron as an earnings manipulator, while experienced financial analysts failed to do so." I think what's disappointing, though, is that they only concluded that Enron "may" be manipulating the earnings, and went on to say "However, further examination of these indicators showed no cause for concern.". They went on to produce a DCF valuation for Enron which showed it to be slightly overvalued. So basically, they didn't spot anything. It's a bit like performing a DCF valuation for the Titanic, noting that the lack lifeboats to accommodate all passengers is no cause for concern because it's unsinkable. I'm not saying that I could do any better, of course, but it shows that all the analyses by all parties concerned didn't really understand the company . If they had *really* understood the company, then they would have understood that it was doomed, and that no DCF would have made sense. It starts to make one wonder just how solid one's own understanding of companies really is. Perhaps that's why Buffett is such a great investor; he can see past all the "DCF" mumbo-jumbo into the heart of the matter. Good article. please don't think that I am in any way knocking anybody. If they had *really* understood the company, then they would have understood that it was doomed, and that no DCF would have made sense. It starts to make one wonder just how solid one's own understanding of companies really is. Perhaps that's why Buffett is such a great investor; he can see past all the "DCF" mumbo-jumbo into the heart of the matter. Yup, absolutely correct. The trouble with DCF forecasts is that they're so senstive to assumptions about future unknown quantiites. If ones takes a purist Graham/Buffett POV then (almost*) all small natural resource companies are speculative because there is so much uncertainty about their value, depending on unknowable future pricing, costs and government taxation policies. The purist approach looks for businesses with very solid foundations, that have been established for many years, produce consistent returns on a sustainable basis** and have a "moat" or USP that makes it hard for competitors to eat their lunch... and which you can acquire at an attractive price. Having said all that, I have to hold my hands up not to being a "purist" investor myself and do hold a portion of more speculative investments in my portfolio. Nevertheless, the bulk of my portfolio is invested in businesses or investment companies that I consider soundly based for the long-term and attractively priced (like Ocean Wilsons itself!). *One notable exception I call to mind was Encore Oil in late 2009, where investors were assured of a substantial cash return even in the event of failures of speculative activities with high upside potential undertaken by the company. At that time, I believe Encore was a genuine value investment. **The importance of earnings sustainability was made very clear to investors, like myself, in apparently "good value" banks in 2007/8. I remain nervous of equity investment in companies like Aviva, whose earnings seem to me highly sensitive to financial market conditions. ***Ocean Wilson Investments (the investment portfolio, distinct from the Brazilian business) shows a creditable annualised return of around 8% since November 2000, consistently beating market indices. That's enough for me conclude that the portfolio is well managed. Warren Buffett likes to say he doesn't have more good ideas than other investors. He just has fewer bad ideas. I think I still need to master that one. Fishing Republic (LON:FISH) is identified by the screen and fell 40% today. I can think of one UK quoted company, which looked an attractive investment, where I've seen similar. Sig PLC and IQE add to the list?